25 ooey gooey melty grilled cheese recipes that are far from ordinary and sure to tantalize! 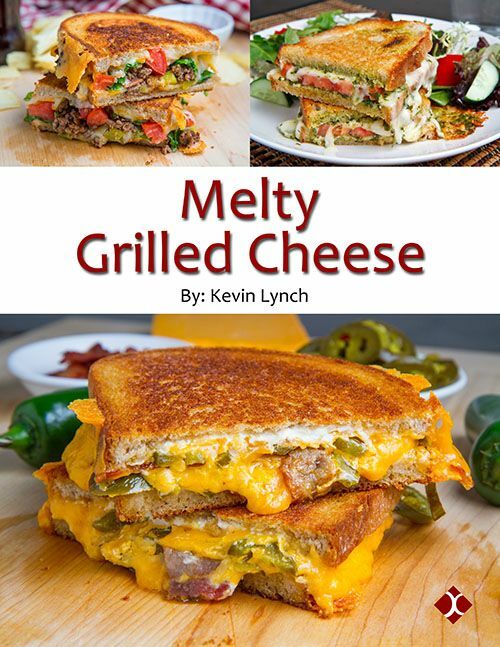 With full color photos these recipes are drool inducing especially ones like the bacon guacamole grilled cheese, the buffalo chicken grilled cheese sandwich, the chicken gyro grilled cheese and even the dark chocolate grilled cheese! Say goodbye to boring grilled cheese sandwiches!